I am at Northwestern because my parents have encouraged me to chase my dreams from the moment I first opened my eyes. Although I’m sure my parents are not thrilled that I don’t know precisely what form those dreams will take post-graduation, the fact remains that they have never once had to tell me to hold back, to not take interest or to not work to my full potential. This past week, I realized just how extraordinarily privileged I am in this regard. The Sept. 14 arrest of 14-year-old Ahmed Mohamed rocked social media. In his spare time, the Irving, Texas, high school student had constructed a clock at home and brought it to school hoping to impress his teachers. In a cruel twist, school officials were the very people who called in the suspected “bomb” and prompted the police to take Mohamed into custody. Although I definitely do not have the technical knowledge to invent a clock at home by myself, I can still identify with Mohamed as I’m sure is the case with many other students at NU. Who among us hasn’t yearned to feel proud or validated, to prove ourselves to our superiors? With that in mind, I was horribly disheartened to see the reaction his story got from the candidates in the undercard GOP debate on Wednesday — the candidates couldn’t even bring themselves to utter his name, as if speaking Arabic would somehow reduce their capability to run the country. In the main debate that followed, candidates failed to mention the incident at all. I was further horrified when only days later two candidates, Donald Trump and Ben Carson, rather than taking advantage of this tragedy to start uncomfortable conversations within their bases and help move this country closer to an environment of acceptance, instead contributed to the growing plague of Islamophobia in the United States. Both Trump, who failed to correct a potential voter who asked what Trump would do to take care of the “problem” of Muslims in our country, and Carson, who said Islam was incompatible with the Constitution, are Republicans. But Islamophobia is not limited to one political party, as we often see with liberal commentator Bill Maher. Nor is it limited to one race, gender, sexual orientation or socioeconomic background. It’s universal, and Northwestern is not immune. Upperclassmen may remember the debate regarding last year’s NUDivest movement. Although many, including NU Vice President for Student Affairs Patricia Telles-Irvin, seemed to imply the creators of the resolution also created tensions on campus, tensions on campus between the majority and marginalized communities have always existed. They’re called microaggressions, and although some argue that those who take offense to microaggressions are thin-skinned, Mohamed’s case shows exactly why they’re a very real problem. We must tackle these problems here and now. If we continue to blame marginalized communities for being sensitive to microaggressions rather than ask majorities to expand their understanding, we will only perpetuate the existence of a system that fails the most vulnerable members of our community. I’m 18 — it’s going to be a while before I even think about having kids. But I stand with Ahmed because I am already terrified for my future children. If and when I do have children, I want to be like my parents. I never want to have to tell my children that they cannot aspire to be something because of their faith or skin color. I never want to tell them they cannot be a nuclear engineer, a pilot or president of the United States, simply because of who they are. I never want to tell them not to stretch and open their minds as far as possible because people like Trump and Carson cannot. As for Mohamed, the whiz-kid says he wants to go to MIT. Although I’m selfishly disappointed NU isn’t on his list, I, for one, cannot wait to see him succeed. 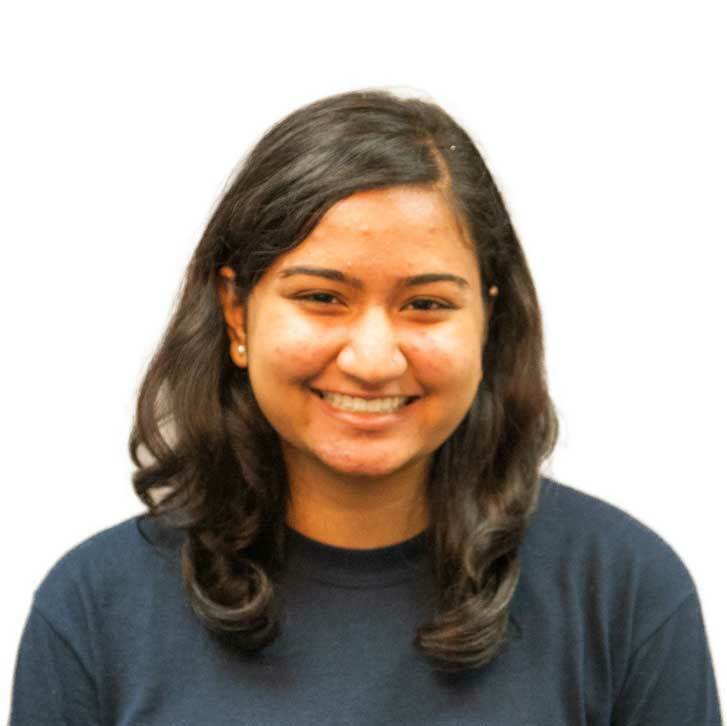 Sumaia Masoom is a SESP sophomore. She can be reached at sumi2018@u.northwestern.edu. If you would like to respond publicly to this column, send a Letter to the Editor to opinion@dailynorthwestern.com.